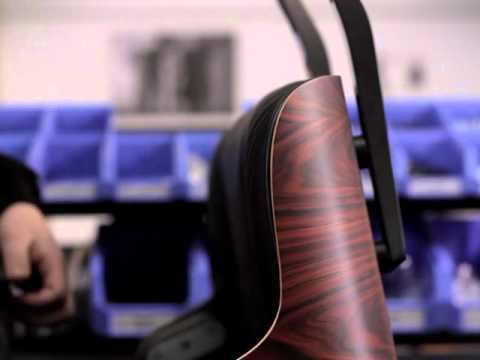 The Vitra Lounge Chair is available in a great range of different materials and colours. The Chair is available with two different heights: in the classical height - and thus with the original dimensions of the design by Charles and Ray Eames - as well as in a new height developed in collaboration with the Eames Office. 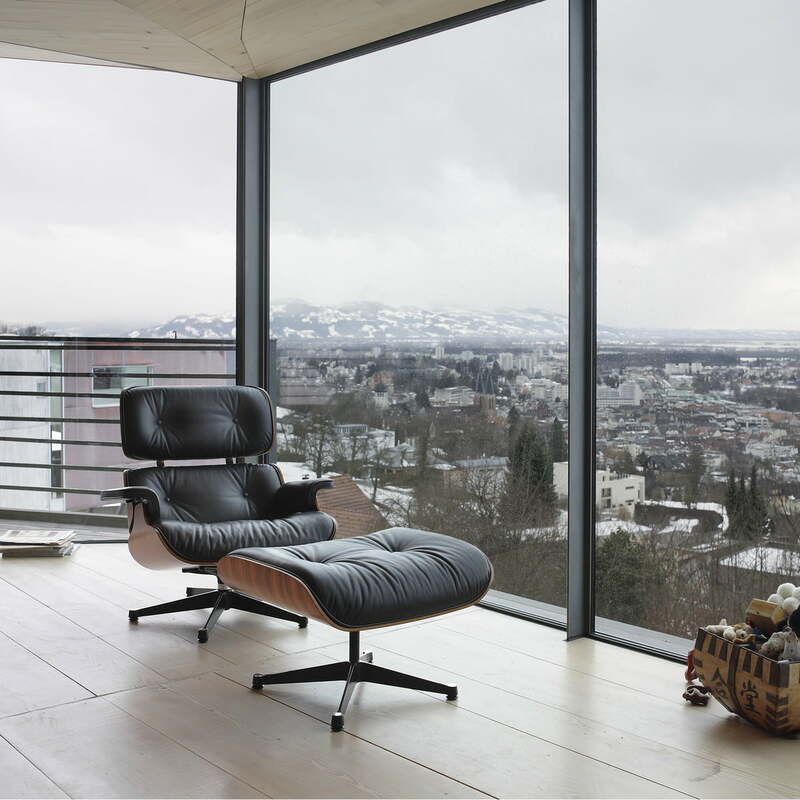 With the new dimensions, the chair was adapted to the current average body size, so that the Vitra classic convinces with even more comfort. 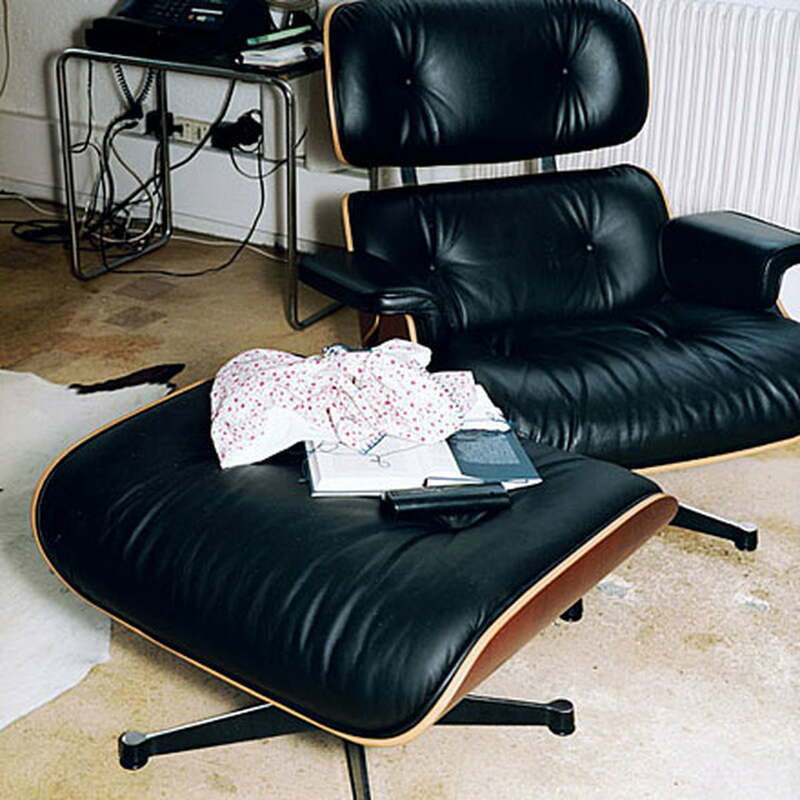 The Eames Lounge Chair’s base is available in an either chromed or polished version (optionally with black sides). No matter what you decide: all combinations fit perfectly together. 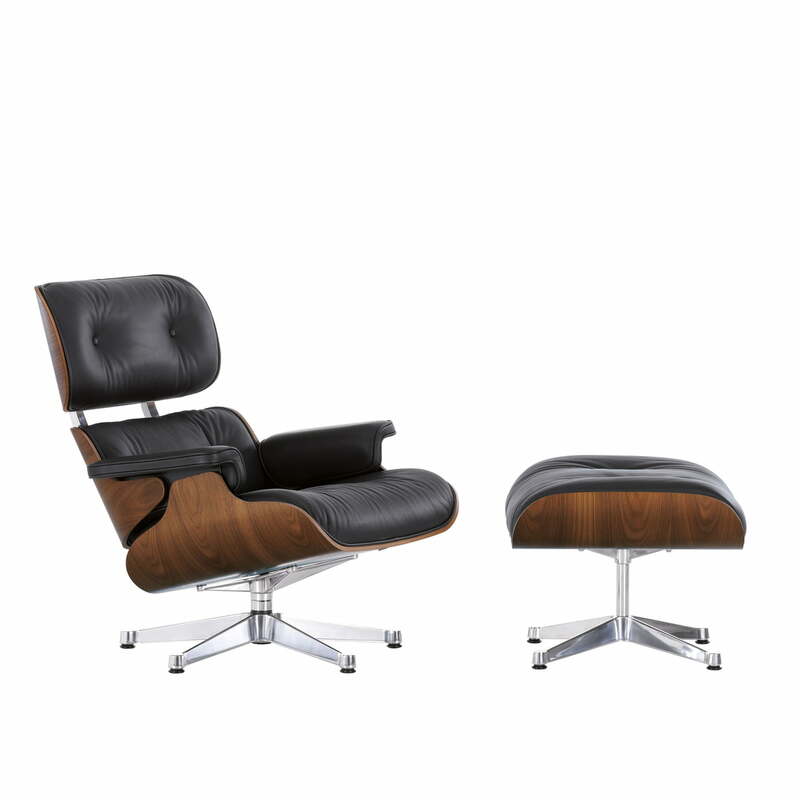 Matching to the Vitra Lounge Chair, the Ottoman is available in various colours: walnut, rosewood /palisander or cherry with white or black leather. With a high-quality leather upholstery, the Vitra Ottoman as stool or footrest offers just as much comfort as the corresponding chair. The classic design is both available as a set or sold separately. 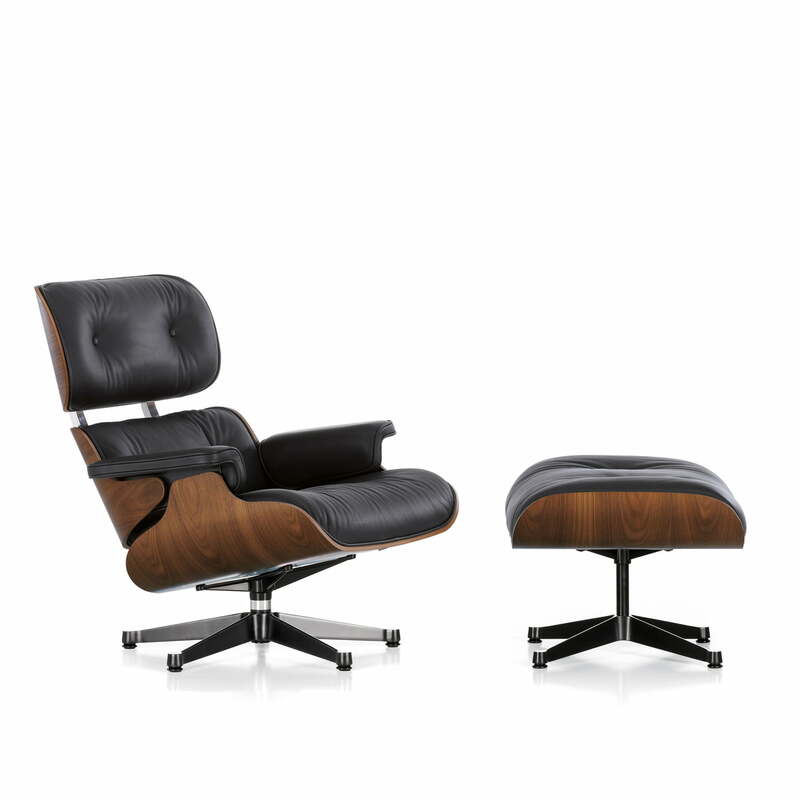 Single image of the black Vitra Lounge Chairs with walnut veneer and chrome-plated frame. Matching to it, the high-quality Ottoman for extra comfort. Available in classic and new, adapted height.